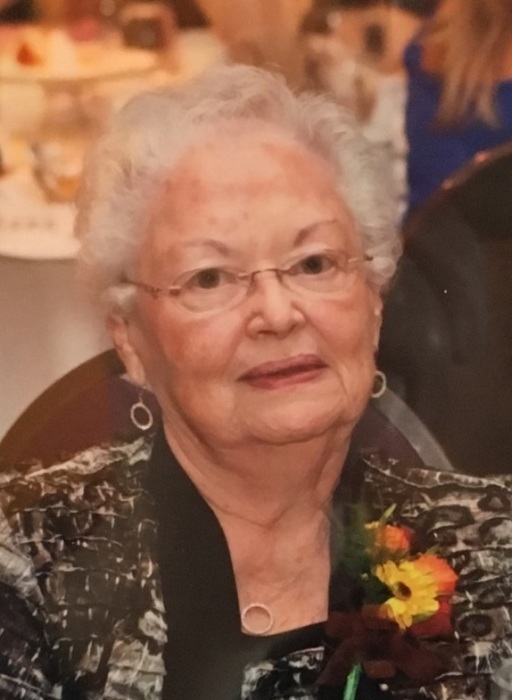 Therese M. O’Brien, 86 passed away peacefully surrounded by her family on March 24, 2019 at the Belle Plaine Lutheran Home. Visitation will be from 3-7p.m. on Sunday, March 31, at the Kolden Funeral Home, 219 N Willow St., Belle Plaine, MN. Mass of Christian Burial will be at 11a.m. on Monday, April 1, at Our Lady of the Prairie Catholic Church, 200 E Church St., Belle Plaine, MN. Fr. Brian Lynch will officiate. Visitation also one hour prior to service at church Monday morning. Interment will be in Sacred Heart Catholic Cemetery in Belle Plaine. Therese was born on October 12, 1932 to Charles Henry and Irene (Chevalier) Buley, Sr. in Henderson, MN. She attended school in Henderson and graduated from Henderson High School. After graduation she worked for Green Giant in Le Sueur in the corporate office. She was united in marriage to the love of her life, Thomas W. O’Brien on September 13, 1952 in Henderson, MN. They celebrated 66 years of marriage this past year. Therese and Tom operated a farm southeast of Belle Plaine. Therese was devoted to her family and knew how to bring out the best in everyone. With 7 children and a farm Therese’s organizational and bookkeeping skills served her well in all aspects of her life. Therese returned to the outside work force later in life and was employed at the United States Department of Agriculture-Farm Service Agency office as a Program Assistant in Jordan for 15 years. Therese enjoyed traveling and music – whether it was singing, dancing or playing the piano or organ. Most of all she enjoyed time spent with family. Therese was a member of Our Lady of the Prairie Catholic Church. She was a former choir member and religious education teacher, a member and officer of the Council of Catholic Women, and a member of the Ladies Ancient Order of Hibernians. She also enjoyed volunteering time to school programs, 4-H and participating as an election judge. Therese is survived by her husband Thomas; children Charlene Kelzer (George); Tom (Connie); Paula Germscheid (Wayne); John; Maury; Lee (Tracy); son-in-law Michael Schley; grandchildren Meghan, Andrew (Crystal), Renee, Maureen, Erin, Allison, Tyler, Tom, Kate, Lucas, Connor and Kendall. Also survived by many brothers-in-law, sisters-in-law, nieces and nephews. She was preceded in death by parents Charles Henry and Irene Buley, Sr., brother Charles Henry Buley, Jr., daughter Peggy O’Brien Schley (Michael) and daughter-in-law Betty O’Brien (John).